In Holy Ghost Reborn, the sequel to the popular and controversial Holy Ghost, Director Darren Wilson continues his journey around the world in his quest to make a movie that is completely led by the Holy Spirit. Although the scope of the film is indeed huge, with Darren filming in the middle of a massive protest in Rome, with a witch doctor in Africa, with prostitutes and the homeless in Brazil, amidst the ancient ruins of Greece, and even with a group of Navy SEALs, Holy Ghost Reborn is ultimately a film about one man's search for the Spirit of God. It is a Spirit that created the Universe, but ultimately desires to reveal the truth of Jesus to all of us, individually. Darren searches for an invisible God and finds a tangible friend who relentlessly pursues us all. The Deluxe Edition brings even more of the story to the screen. Including the original film, it contains over 9 hours of extra content from each of the adventures from the film, as well as interviews with many people both in the film, as well as those left on the cutting room floor. 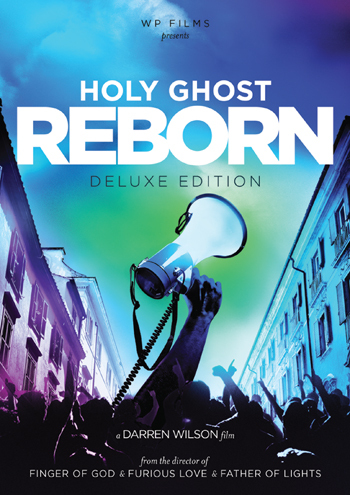 This is the definitive edition of Holy Ghost Reborn. Holy Ghost: Reborn (Deluxe Edition) (3 DVD Set) by Darren Wilson was published by Authentic in November 2015 and is our 7277th best seller. The ISBN for Holy Ghost: Reborn (Deluxe Edition) (3 DVD Set) is 854835003480. Be the first to review Holy Ghost: Reborn (Deluxe Edition) (3 DVD Set)! Got a question? No problem! Just click here to ask us about Holy Ghost: Reborn (Deluxe Edition) (3 DVD Set).